In this project I created a magazine cover page, content page and a two page spread. 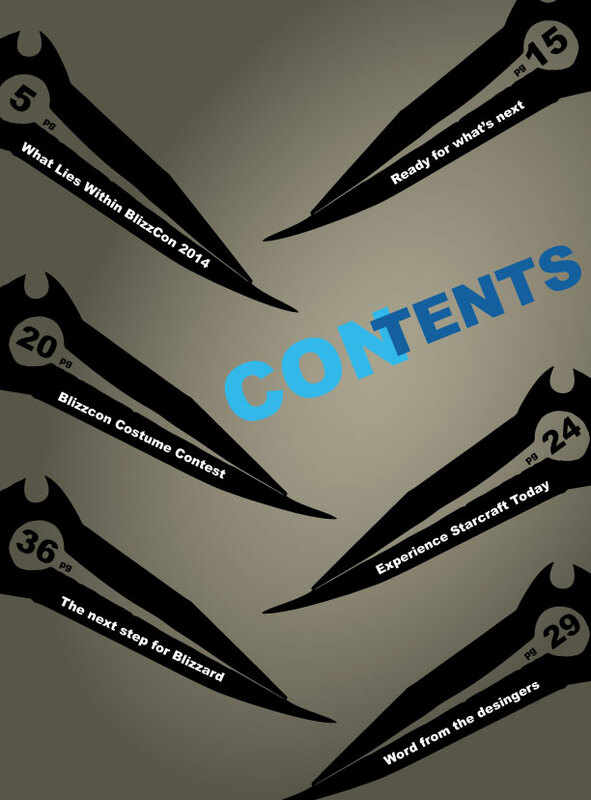 I chose to make up a magazine that was based off of Blizzard’s Blizzcon event. The logo I drew to have a similar appearance to Blizzard’s actual logo as well as the color theme used for the magazine. On the cover I picked two photos of some cosplayers with costumes related to Blizzard’s games. In the content page I used a well known weapon from Blizzard’s game World of Warcraft to place the page numbers and their names. 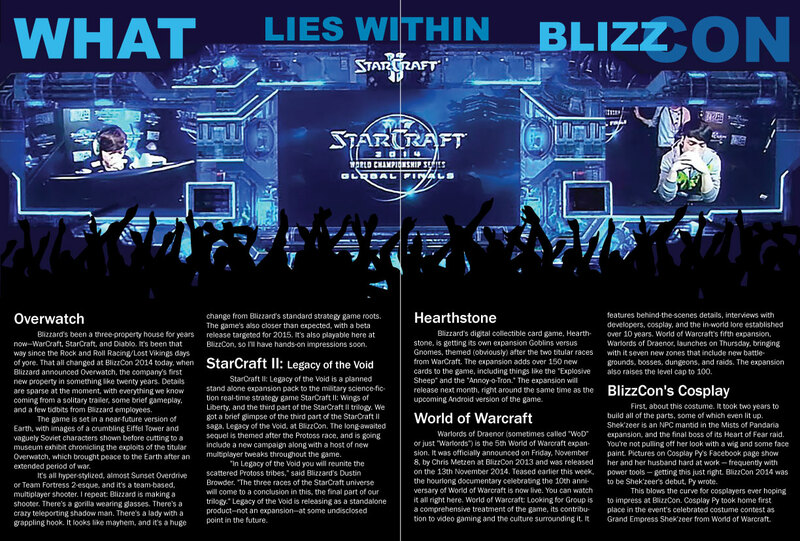 On the two page spread I used an image of the Blizzcon stage with a silhouette of a crowd to give the feeling of seeing the event in person.